Below are some of Dental Office Solution's best potential staffing candidates for your dental practice. The employees below are available for a wide variety of dental positions and are ready to be hired by your practice! If you are interested in a particular candidate, please contact us today to fulfill your dental staffing needs. This employee is outgoing, a fast learner, and people person. Has experience with Dentrix and Eaglesoft dental software. Has many years experience with taking impressions, making temporary crowns, and other chair-side duties. Available immediately for full time and temp-to-hire placement. This outgoing and dependable employee has over 5 years front experience in the dental industry. Proficient in treatment plans,bookkeeping, and scheduling. Available immediately for full time/part time, and temp-to-hire placement. This energetic employee is a great at multitasking. Efficient in chair-side duties such as taking and developing x-rays, coronal polishing, taking impressions, as well as making and placing temporary crowns. Also has experience in oral surgery.Available immediately for full-time placement. This hardworking x-ray certified employee has 6 years of experience as an Oral Surgery Assistant. Has assisted with pre and post operative care, biopsies, bonding and bracketing, bone grafting with socket preservation, dental implants, exposures, fractures, and periapical/panoramic x-rays. Available immediately for full-time placement. X-ray certified, this employee is experienced with making temporary crowns, pouring and trimming models, and bleaching trays. Experienced with sedation oral surgeries, and root canals. Available immediately for temp placement. Has used Dentrix, Eaglesoft, Dexis, and Paperless dental software. This employee is proficient with Microsoft Word, Excel, and PowerPoint. Has laboratory experience and is extremely passionate about patient care. Seeking full-time permanent placement. This employee provides excellent patient care and has skills not limited to scaling and root debridement, fluoride and sealant placement, and other chair-side duties.Is certified in monitoring conscious sedation, infection control and epidemiology S.P.I.C.E., and dental radiography. 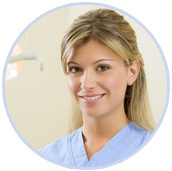 Detail oriented and has experience with Eaglesoft, Dentrix, and Paperless dental software. Has 2 years experience in Endodontics and 4 years experience in Pedodontics. Is familiar with Dentrix, Eaglesoft, Soft Dent, Dexis, and Paperless dental software. Is proficient with submitting claims electronically, processing insurance, computerized bookkeeping, scheduling, and calculating co-payments. Seeking part/full-time placement.